The talk-show host's 'Restoring Honor' rally was about one thing: him. Almost no one who attended Saturday’s “Restoring Honor” rally on the National Mall seems able to cogently explain what, exactly, took place. Was it a thinly disguised political rally? A triumph of Made in America inspirational treacle? A modern-day religious revival? When probed by reporters, happy participants and skeptical observers alike struggled to make sense of the prayerful parade that saw Tony LaRussa, Sarah Palin, and Eveda King take turns at a podium between prerecorded voiceovers about crossroads, awakenings, and miracles. Yet there was one message that the afternoon’s emotional emcee managed to get across with unmistakable clarity: Glenn Beck is still a major force to be reckoned with, and has every intention of staying one. In the months leading up to Saturday’s rally, it had become fashionable for broadcast industry pros and liberal pundits to say that Beck had entered the early stages of a much-anticipated flameout. After a meteoric 2009, there were certainly grounds for shorting Beck stock. Beck’s TV ratings, after rocketing Fox News’s 5 p.m. slot to new heights, had begun to fall to earth. More ominously, this summer, after years of looking past Beck’s Mormonism, his largely protestant Evangelical base began to question the state of the host’s soul, if not his motives. Even Bill O’Reilly could not resist suggesting on air that Beck had finally jumped the shark. During an episode of “The O’Reilly Factor,” the older host confidently bet against a major turnout for “Restoring Honor,” Beck’s most audacious gambit to date. O’Reilly was far from the first to bet wrong against Beck, the most unlikely and freakish success story in all of media. By bursting the National Mall with his loving legions, Beck did more than prove reports of his demise wrong. Indeed, by drawing upward of 100,000 of his fans to the capital, Beck proved that he had outgrown the old categories and become more than simply a “media figure.” As befits his growing use of religious rhetoric and posturing—“Glenn Beck’s Divine Destiny” graced the Kennedy Center last Friday night with religious music and speakers—Beck has moved fully into new territory. He must now be bracketed together with revivalists like Billy Graham and “Sister” Aimee McPherson, not conservative animatrons like Sean Hannity. Years before Beck made it as the maudlin hype man of the paranoid style, he was famous for high-dive publicity splashes following a masterful long-tease. In Baltimore in the early ’90s, while working with his current radio co-host Pat Gray, Beck turned straw into gold by building up the grand opening of an underground theme park, Magicland, which did not exist. He did it all with a few audio clips and an understanding of his audience’s psychology—the very tools he later used to create the political Magicland known as the Van Jones Scandal. The closest analog to Saturday in Beck’s past was his 2003 traveling “Rally for America” road show. As with last weekend’s “Restoring Honor,” Beck falsely billed those controversial rallies as “nonpolitical,” used charitable donations to defray logistics costs, piggybacked, when possible, on other events such as Memorial Day parades, and barely bothered to hide the fact that the whole thing was a shameless brand-building exercise, stamped with his corporate logo. On Saturday, as in 2003, Beck again courted controversy—did he or did he not choose the August 28 on purpose?—and reveled in the debate over his appropriation of Civil Rights iconography. All the while he attempted to claim the highest high-ground possible, sticking to the broad and squishy themes of “faith, hope, and charity.” But as he kept up the nonpartisan façade, across town Beck’s friends and sponsors at Americans for Prosperity, a Koch-funded policy, organizing and oppo-research shop, felt no such constraints: They were just wrapping up their Defending the American Dream summit, in which participants in town for Beck phone-banked for GOP candidates. Beck’s next scheduled project is a return to political form, just in time for midterms. In late October, he will release another sure-thing bestseller—a detailed “plan” for dismantling the modern welfare and regulatory state. That book, for which “Restoring Honor” was originally billed as a release party, is entitled Broke: The Plan to Restore Our Trust, Truth and Treasure. Like every other conservative jingle produced by Beck, Inc., this new troika of “trust, truth, and treasure” will be easily and rightly dismissed by his critics as a faux-patriotic coloring-book blueprint for Steve Forbes’s fantasy economy. But Beck’s success on the Mall this weekend should serve as a warning to those who would simply dismiss the former DJ and wait for history to correct the error of his national influence. When Beck unveiled his “plan” last November in Orlando, he emphasized the long-term nature of the historic task ahead. Re-founding America, he said, would require more than one generation to accomplish, possibly taking as long as 100 years. You can be sure that Beck intends to remain at the center of his crusade for as many of them as possible. Alexander Zaitchik is a freelance journalist in New York City. 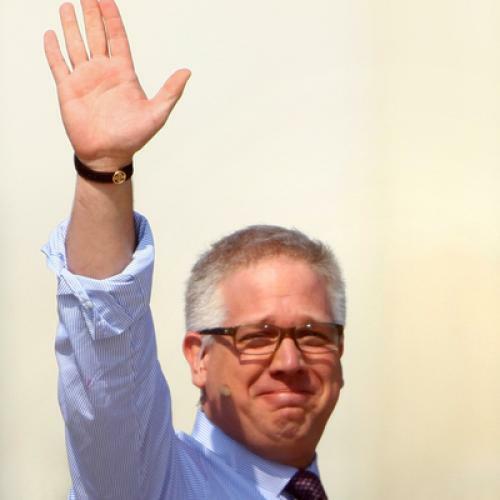 He is the author of Common Nonsense: Glenn Beck and the Triumph of Ignorance. Alexander Zaitchik is a freelance journalist and the author of The Gilded Rage: A Wild Ride Through Donald Trump’s America.